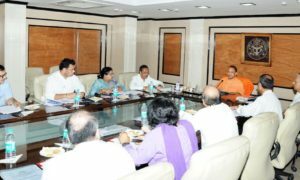 Offering a glimpse of its roadmap and vision for the education sector towards ensuring growth for all, the Yogi Adityanath-led Uttar Pradesh Government presented its budget recently. It showed a renewed focus on education. The move also looked in alignment with ensuring “Education for All”, writes Arpit Gupta of Elets News Network (ENN). The Uttar Pradesh Government’s Budget for 2019-20, education is the key focus area along with other sectors. 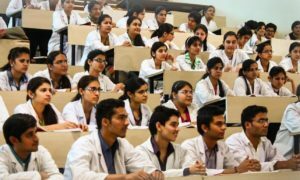 Presented by Uttar Pradesh Finance Minister Rajesh Agarwal, the State Budget 2019-20 has its focus on improving the basic, secondary and higher education facilities while encouraging research among graduates in the State. In the budget, there is a provision of Rs 18,485 crore for Samagra Shiksha Abhiyan. It is an overarching programme for the school education sector extending from preschool to class 12. 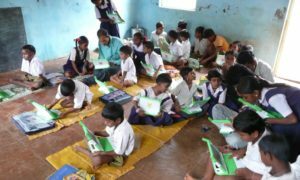 Prepared with the broader goal of improving school effectiveness measured in terms of equal opportunities for schooling and equitable learning outcomes, the programme subsumes three schemes — Sarva Shiksha Abhiyan (SSA), Rashtriya Madhyamik Shiksha Abhiyan (RMSA) and Teacher Education (TE). There is also a provision of Rs 2,275 crore for Mid Day Meal Scheme, launched by the Central Government on 15 August, 1995 to enhance enrolment, retention, attendance and simultaneously improving nutritional levels among children to enhance enrolment, retention, attendance and simultaneously improving nutritional levels among children. The Uttar Pradesh Government also intends to focus on boosting infrastructural facilities in Primary and Senior Primary schools. In this year’s budget, the Government has thus made a provision Rs 500 crore for the same. In line with its promise of providing education facilities to everyone, the Uttar Pradesh Government has plans to provide free uniforms to students of primary and senior primary. The latest budget thus involves a provision of Rs 40 crore for this. The Government has also proposed Rs 300 crore for providing a pair of shoes, two pairs of socks and one sweater free of cost to each student of class I to VII, enrolled in schools run by the Uttar Pradesh Basic Education Board. The Government has allocated Rs 110 crore for distribution of school bags in the Budget 2019-20. Other than that there is also a budgetary provision of Rs five crore to setup Primary and Senior Primary schools in Vantangiya villages. 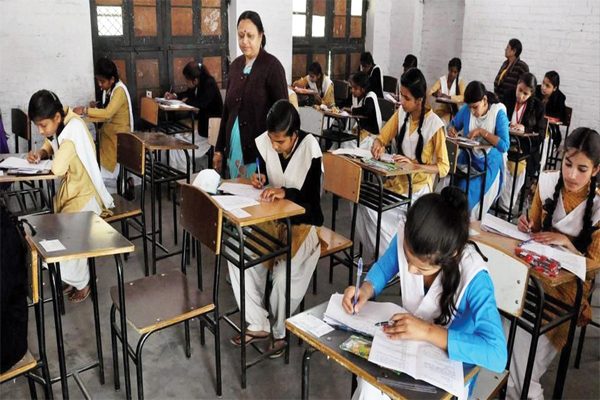 To improve condition of secondary education in the Uttar Pradesh, the State Budget has allocated Rs 26.57 crore to setup Sainik Schools, serving as an ideal residential educational institution for boys hailing especially from the rural areas of country or the respective States. The training imparted in Sainik Schools influences the students in shaping their social attitudes and developing a meaningful approach towards life. The Government has also allocated Rs 10 crore to setup Government Inter Colleges for boys and girls. As part of its endeavour to encourage Sanskrit education in Uttar Pradesh, the Government has announced a budgetary provision of Rs 242 crore to provide grant-in-aid to Sanskrit Pathshalas and a separate Rs 30 crore as grant to aided Sanskrit schools and degree colleges. Not only school education, but the Government also announced budgetary allocations for higher education sector of the State. In line with its commitment to provide holistic education to State’s youth, the Government has allocated funds for developing infrastructure, academics and research facilities in higher and technical education. The Uttar Pradesh Government is facilitating Higher Education Institutions of the State with modern resources. Along with it, the Government is also focusing on students acquiring entrepreneurial education. It is meant to make them industry-oriented so that the graduated youth could become self-dependent and contribute in the country’s development. At present, the Government is paying a special attention on appointing qualified educators, infrastructure development, rich library, equipped laboratory and computerisation in colleges. A provision of 160 crore for various works under the National Higher Education Campaign. A provision of Rs. 63 lakh under the infrastructural heads of “Gurushri Gorakshnath ShodhPeeth” in Deen Dayal Upadhyay Gorakhpur University. A provision of Rs. 02 crore to setup Atal Good Governance Chair in LucknowUniversity. A budgetary provision of Rs. 05 crore to setup a Centre of Excellence in memory of Hon’ble Atal Bihari Vajpayee in DAV College, Kanpur. Rs. 10 crore proposed to setup a university in Saharanpur. A provision of Rs. 21 crore to give grant to Kashi Vidyapeeth for promoting education of Sanskrit. A provision of Rs. 21.51 crore for Sampurnanand Sanskrit Vishwavidyala. The Indian Institute of Information Technology is being setup in Lucknow on PPP mode. A budgetary provision of Rs. 10 crore for this purpose. Provision of Rs. 08 crore to setup an Engineering College in Mirzapur and another Rs. 04 crore to setup an Engineering College in Pratapgarh district. A provision of Rs. 11 crore for strengthening and development of Harcourt Butler Technical University, Kanpur.